All the way from Hong Kong! This cute diaper cake is a colorful delight! Lulu shared her diaper cake ideas to help all the rest of us who are searching for diaper cake ideas. We love our readers like Lulu who care enough to share with the rest of us! Thanks for sharing Lulu! 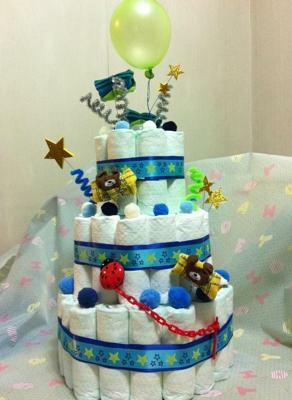 If you have a diaper cake to share, we'd love to post it! Share it with us right here. 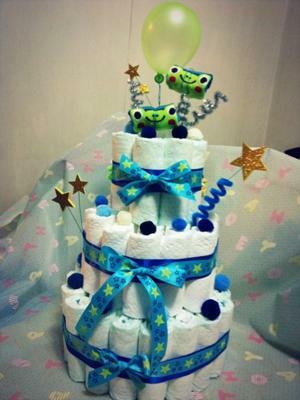 Lulu's Comments: Thank you for sharing how to make a diaper cake, it inspired me. It's really easy & fun :), a warm gift!